RingCentral is the complete cloud phone system that transitions communications and collaboration to the next level. Give your business a local and international presence with a variety of phone number options and an unparalleled feature set for voice calls, conferencing and online meetings. Easily create leads from several sources including LinkedIn, business cards, e-mails, web forms, etc. Try no CRM.io for free by signing up below if you don't have an account yet! Login to your noCRM.io account, go to the Admin Panel and select RingCentral. Click on Connect my RingCentral account and enter your credentials to enhance your lead communications. 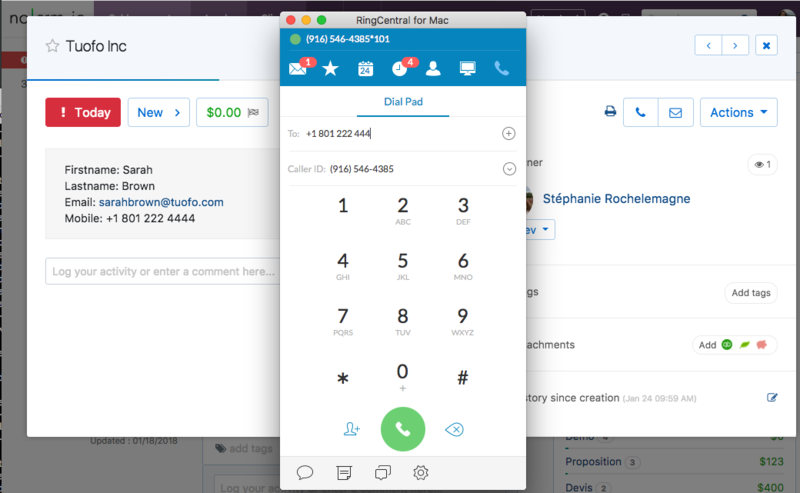 For more information on how to set up an RingCentral integration, visit our dedicated help page.